The Republic of Korea ranked 21st in the 2018 Democracy Index compiled by the U.K-based Economist Intelligence Unit. According to the index, South Korea was the most democratic nation in Asia, placing higher than the United States in 25th and Japan in 22nd. What propelled the democracy of South Korea to achieve so much? What events took place in Korea a hundred years ago to give birth to the Constitutional principle of “The Republic of Korea is a democratic republic?” Until now, we have focused on the March 1st Independence Movement as nationwide protests against Imperial Japanese. But, frankly, not much attention has been paid to what kind of nation our ancestors were trying to build after Korea's independence. 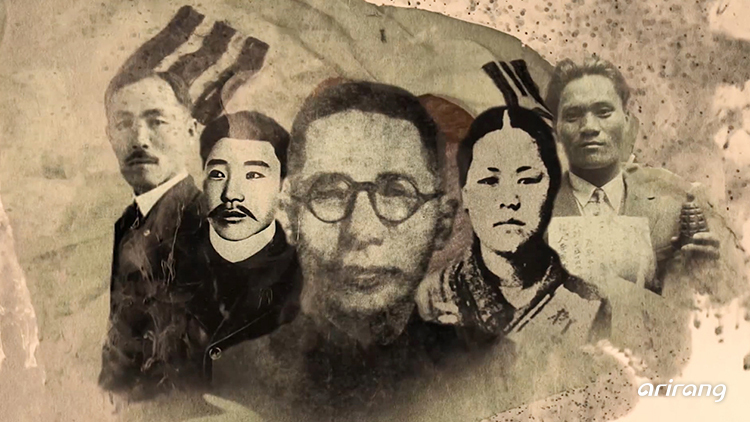 This documentary was produced to mark the centennial of the establishment of the Korean Provisional Government and understand what kind of nation the Korean people wanted to build and defend. The episodes feature photographs and newspaper articles from that time as well as the scenes from a stage play and poems to help viewers relate better to what happened back then. The Provisional Government of Korea had been the driving force for the 27-year-long independence movement, from 1919 to 1945. Such a long journey would have been impossible if not for the support and encouragement from the Korean people. In 1932, Lee Bong-chang threw a bomb at the Japanese Emperor's procession and Yun Bong-gil bombed the stage at the Emperor's birthday party and victory celebration held in Hongkou Park. The Provisional Government was behind these incidents. The attacks eventually resulted in the establishment of the Korean Liberation Army in 1940, commanded by the Provisional Government. The KLA declared war on Japan and planned secret missions in collaboration with China, the United Kingdom, and the United States. But two weeks before the D-day of their infiltration operation in 1945, Japan surrendered unconditionally and Korea was liberated without the Provisional Government gaining recognition for its achievements.